Try something a little daring this Friday and enjoy a Between the Sheets cocktail. 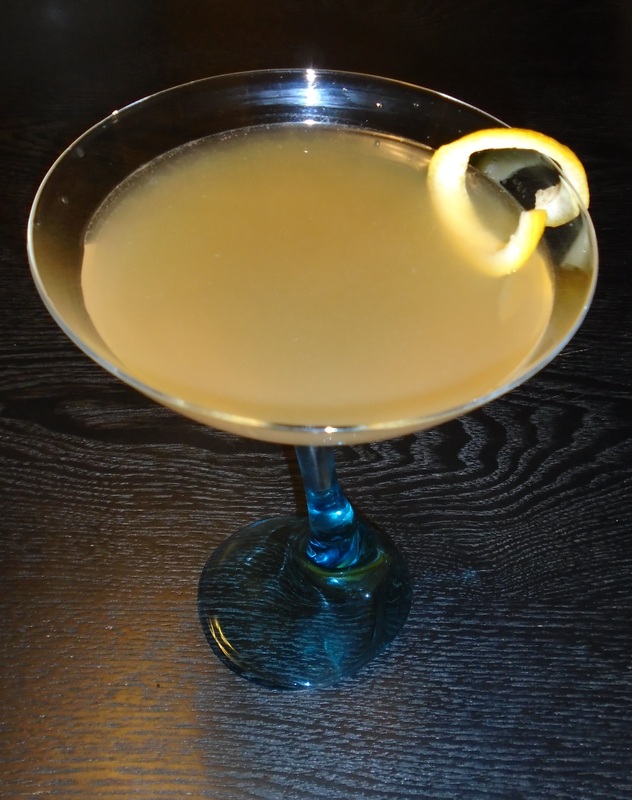 This classic cocktail, a variation of the Sidecar, dates back to the 1930s. Credit for its creation is often given to famous bartender Harry MacElhone, who served it up at his eponymous Harry’s New York Bar in Paris. However, some stories suggest this scandalous sounding drink may have originated in French brothels of the 1920s! This is another one of those drinks with a name that you might find a little embarrassing to order when dining out. Fortunately, it’s relatively simple to make at home. What you’ll need: Cognac, White Rum, Cointreau, and Lemon Juice. In a shaker over cracked ice, add 1 ounce each of cognac, white rum and Cointreau (or Triple Sec). Add in a half ounce of lemon juice. Shake and then strain into your cocktail glass of choice. Optionally, garnish with a lemon twist. How I like it: This sophisticated apéritif has a strong character that’s a bit on the dry side. I tend to add a full ounce of lemon juice just to make it a little sweeter. And though I like to adhere to the original ingredients as much as possible, in the absence of white rum, it’s fine to use gold, but definitely not spiced rum. Don’t cause a scandal, drink responsibly! I remember that was one of the STRONGER drinks at the Classic Cocktail party!